A former national and Olympic swimming coach from Co Wexford has been jailed for six and a half years for sexual and indecent assaults on five young boys. Ger Doyle abused the boys over a 12 year period. Originally from Wexford town Ger Doyle was manager of the swimming pool in New Ross for 26 years. In November he was found guilty by a jury of 34 counts of indecent assault and one count of sexual assault. The assaults went on from 1981 to 1993 in his office and the boiler room at the pool. Five boys, aged between 10 and 15 at the time were assaulted. 49-year-old Doyle had pleaded not guilty. 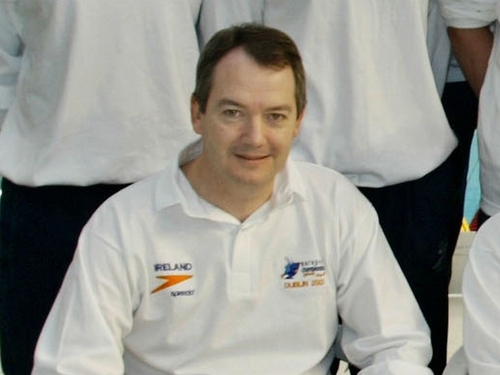 A single man with no previous convictions, Doyle was Irish Olympic coach in the 2000 and 2004, and he was Wexford person of the year in 2004. His defence barrister said his conviction in November meant he has suffered a terrible fall from grace, but the prosecution outlined how Doyle's actions continue to cause hurt and pain. Judge Alice Doyle said Ger Doyle's actions had been premeditated and he had breached trust and she sentenced him to a total of six and a half years in prison.